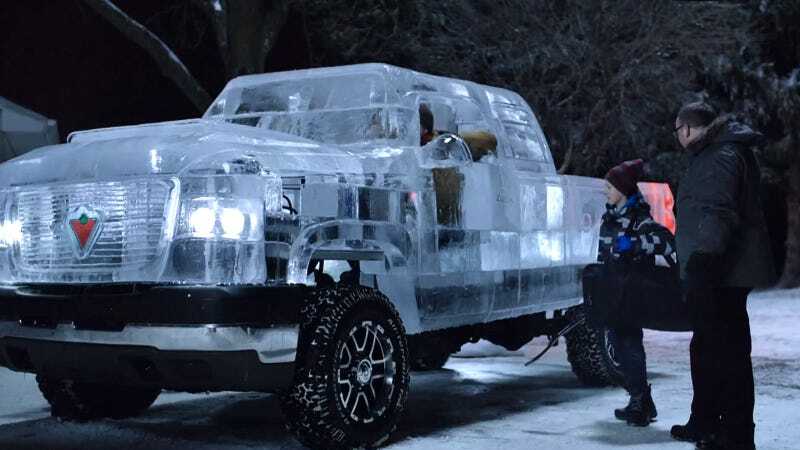 Behold the first self-propelled ice sculpture ever—a truck made of ice that actually works! It's a real truck, using 11,000 pounds of ice over a regular truck chassis complete with engine and electrical system. Check out the videos to see how they built it—and how it melted. The truck ran for 1.6 kilometers at about 20 km/h on December 12, 2013. Oh Canada, how much I love you. Seriously.